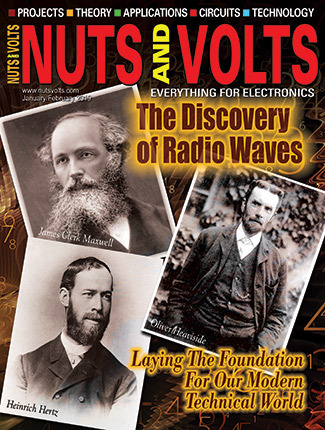 Back in 2008, Nuts & Volts sponsored the $100 Workbench Challenge. It was a great success and we had plenty of readers enjoy participating in the contest and showing off their carefully crafted work spaces. With the changes in available tools and technology, we decided to bring the challenge back, but this time even bigger and with a lot more prizes! Our new two-part contest is a combination of straight-up workbench design and a bit of "show and tell." So, let’s get down to details. What exactly is the Workbench Challenge 2015? Can it be done .. again? Just as it was in 2008, this challenge requires you to equip an entry level workbench for a beginner in electronics. The concept seems simple but it can require a bit of strategy to make it real. Your job is to fully equip an entry level workbench - from scratch - using only $200. There are a lot of things to consider and we hope to get some insightful entries! Just give it some thought. What is “essential” to an electronics workbench? Maybe use the old "if you were on a desert island” hypothetical situation where you have to pare your choices down to the bare necessities. We encourage you to discuss this with your friends and colleagues. It can be great fun to listen to seasoned engineers and “young whipper-snappers” spout off about what is essential and what is a waste of bench space and money! The Challenge: Design & detail a fully-operational, entry-level electronics workbench. The Catch: Your budget is no more than $200 USD. The Fine Print: You may only use new, regularly-stocked and non-discontinued/EOL pieces. Let's go a little deeper on the "fine print." The idea is to make a submission that can be replicated by your fellow readers. As such, that one-time "great deal" you got on eBay, Craigslist, through Alibaba, from a Hong Kong vendor on Amazon.com, or from "that weird guy down the street who sorta smells like bacon but gives you great deals" just won't cut it! We need to have a Bill Of Materials (BOM) that can be filled (and refilled!) from reputable vendors and distributors. Our hope is that the winning entries will act as a template for others who are in the process of setting up a workbench -- or even workbenches! Remember, you must design a complete, fully-operational, entry-level electronics workbench for under $200. Your entry should be submitted in the form of a list with a line for each item, its associated part number, the vendor name, the item cost, and the date the prices were gathered. Make sure the total is $200 or less! Hint: A spreadsheet can help with the addition/subtraction as you are "playing" with your entry. Of course, if you decide to send in your submission as a spreadsheet, please make sure it is either Excel or OpenOffice/LibreOffice formatted so we can open it easily. Make sure you include a paragraph or two that explains your choices and the intended purpose of the various pieces if it isn't obvious. Such descriptions help us to better understand your design. So, do you think it's possible to stock a workbench on such a stingy budget, including tools, test equipment, and the like? If you think you have the magic formula, submit your list of items and prices to [email protected]. The best entries (in the sole opinion of the T&L Publications staff) will have their listing published in Nuts & Volts and on the contest web page, and will win one of the prizes listed here. In the case of a tie, the first response we receive wins, so don't dawdle! Are you a social media maven? Love showing off your triumphant test tools? If so, then this contest is built just for YOU! 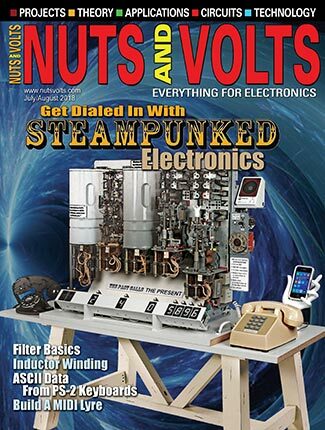 All you have to do to enter is toss a Nuts & Volts magazine onto your workbench, then Tweet a photo or post a YouTube video of it! Using one of the methods detailed here, submit your entry. We will use a random drawing to determine the winner of this challenge. Remember, we will only award one prize to a person so entering multiple times won't increase your odds of winning! Got a cool workbench and a twitter account? Good! Because that’s all you need to enter the Workbench Challenge on Twitter! 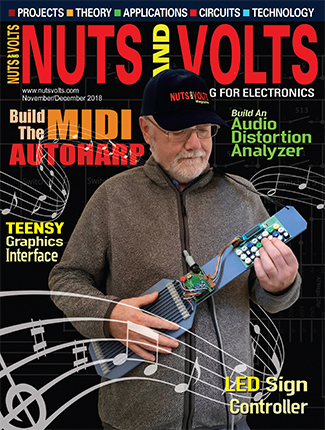 Grab a copy of Nuts & Volts magazine and drop it on your workbench where it can be seen (yeah, you might have to move a few projects! ), then take a picture of your workbench and tweet the photo with the following hashtags #NutsandVoltsMagazine #WorkbenchChallenge2015. You will automatically be entered in a random prize drawing for one of two prizes. Though you can send multiple photos, only ONE entry will be accepted per Twitter account, so it only takes one picture to win! The winner will be notified via a private message to their Twitter account. Take a video of up to one minute in length (brevity is the sole of wit, right?) with a narration of your workbench contents. 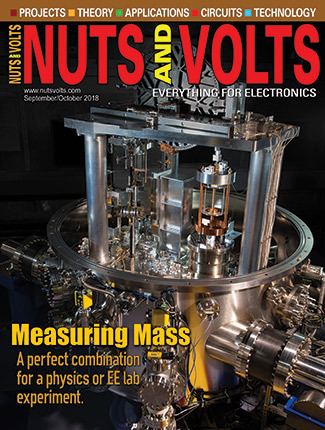 Just remember to grab a copy of Nuts & Volts magazine and place it on your workbench before you start your video recording. When the recording is done, upload your video to your YouTube channel and name it "Nuts & Volts Workbench Challenge 2015." Then, just send an email to "[email protected]" with the subject as "Workbench Challenge 2015" and a link to your video in the body. Just like the Twitter entries, you are welcome to send in multiple videos but only ONE entry per YouTube account will be accepted. The winner will be notified via reply to this email. Deadline for Entries: You must have your entry to us before Midnight, Pacific Time, on October 31st! So now that we've defined the contests, let’s get to the good stuff- the PRIZES! Notification: If you have won a prize, we will contact you through the channel used by your submission, e.g., if you entered via Twitter, we will send you a Twitter message; if you entered via YouTube/email, we will send you an email message. Once the contest is complete, we will announce the winners on the contest page. If you do not reply within 30 days of being notified, the prize will be forfeit and another entrant will be selected. Entry Restrictions: Multiple entries are permitted, but only one entry per person can win a prize in the contest. Disqualification: We reserve the right to disqualify any entry that, in our sole judgment, is not in compliance with the rules. In the event that a winning entry is disqualified, a new entrant will be selected as the winner. Termination: We reserve the right to suspend, modify, or terminate the contest at any time for any reason, including without limitation in the event of fraud, abuse, tampering, or due to administrative/financial/technical difficulties. In such cases, we will post a notice on the contest page of any modification, suspension, or termination. Should we opt to terminate the contest prior to selection of prize winners, we will announce an alternate means of awarding prizes on the contest page. Advertising and Marketing: By entering the contest, and in consideration of our potential review and evaluation of his or her entry, each entrant grants to us the non-exclusive right to use his or her entry, including text, images, videos, or other components of the submission for promotional purposes. Retail values are subject to change without notice.